Farzana lives in a four-room house just outside Anantnag, a town about 40 miles south of Kashmir’s capital, Srinagar. The corner room, lined with beautiful red carpets, was where her husband, Iqbal, read books. “He read pretty much anything he could lay his hands on,” Farzana said. Iqbal, a cloth merchant, was captured by the Indian army in 2009. The army claims he was an armed militant who was waging a battle against the Indian state. His relatives say that he wasn’t a militant and that he was working in his shop when he was taken away. The family doesn’t know whether Iqbal is dead or alive. For seven years, Farzana cleaned and decorated her husband’s room every day, in case he returned. “When she stopped cleaning the room was when we realized she had lost hope of seeing her husband again,” said Muneeza, Farzana’s mother in law. From the time she stopped keeping up the room, Farzana has often been wakened by nightmares. Her family says she cries without apparent reason and has unpredictable rages. Like many Kashmiri women, she has been diagnosed with chronic depression and post-traumatic stress disorder (PTSD). The Kashmir Valley has been at the center of a territorial dispute between India and Pakistan since 1947, and currently the two countries control parts of the region. The area has suffered from extreme violence for the past three decades as Kashmiri militants have fought against Indian rule. Uncertainty governs life in the valley, which is surrounded by three nuclear powers—India, Pakistan and China. The violence has left women like 37-year-old Farzana as “half widows,” a term commonly used for those whose husbands have been missing for years. “Who would have thought death would be uncertain?” Farzana said. Over the years, Farzana made several trips on crowded buses to the army headquarters in Srinagar. When she was lucky, she could go past the security guard at the gate. But even then, no one responded to her and she returned without any information. Farzana still makes trips on the rickety bus to Srinagar. But now it’s to visit the Institute of Mental Health and Neuroscience, one of only two psychiatric facilities available to about 7 million Kashmiris. Other centers exist, but they offer only basic counseling services. Farzana is among nearly a million Kashmiri women who suffer serious mental conditions. They include “half widows” and actual widows. Many of the latter are in their 20s and 30s, and an alarming number of them say they have suicidal tendencies. About 1.8 million adults in the Kashmir Valley have “significant symptoms of mental distress,” according to a 2015 report by Doctors Without Borders. The report says about 50 percent of Kashmiri women suffer from depression, about 36 percent of them have an anxiety disorder and 22 percent suffer from PTSD. This is believed to be the first time mental illness among Kashmiri women has been quantified by an international agency. In the past, Doctors Without Borders had conducted such research only in war zones such as Iraq and Syria. The past 30 years have been an especially tense phase of the long conflict. The current armed militancy goes back to 1989, when Kashmiris became enraged about rigged elections, and anti-India sentiments grew irrevocable. Many militants today want Kashmir to secede from India, and some want the valley, which has a Muslim majority, to become part of predominately Muslim Pakistan. To counter militant organizations—both homegrown ones and those funded by Pakistan—India began sending large numbers of army troops to the valley in 1990. 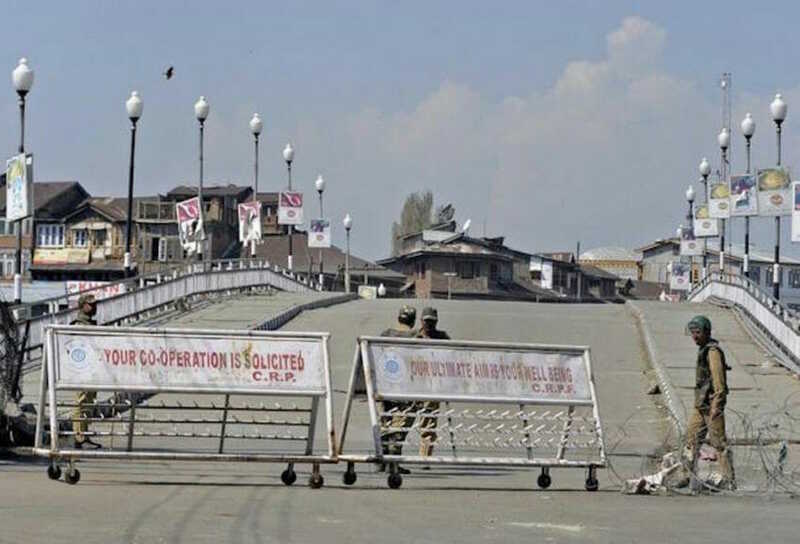 Today, more than 700,000 Indian troops are stationed in Kashmir. During peak violence phases, women in the valley report widespread rapes, torture, beatings and maiming, mostly by the army but sometimes by the rebel forces as well. A United Nations report estimated that Indian security forces killed up to 145 civilians and rebels killed about 20 civilians between July 2016 and April 2018. The report said India used “excessive force,” and a U.N. commissioner called for a human rights investigation. Kashmiri women are often required to take on the roles of men lost to violence, and that burden—in addition to their grief—takes a toll on the women’s mental health. “When our men go out to fight, we have to ensure there is enough bread for everyone to eat. That is our contribution to the rebellion,” said Hafiza, 25, who lives in a six-bedroom mansion in a small village in the Pulwama district of southern Kashmir. Three of Hafiza’s brothers joined rebel groups in the past decade, and her youngest brother was killed in 2016. Hafiza manages the family household and saffron business. After her brother died, she was diagnosed with mild depression. Her mother said Hafiza was functional and managed to handle her day-to-day activities efficiently. However, her condition worsened. She lost her appetite and spent hours in silence. She also became extremely irritable. Today, Hafiza takes an antidepressant that helps her function each day. For example, her job requires her to interact with saffron buyers in India and abroad, and she says she’s now able to deal with them without losing her temper. Women who need help for mental health issues face at least two formidable obstacles in Kashmir: social stigma and the lack of resources. The social stigma was apparent during a visit to Hafiza’s home. Her 60-year-old mother was reluctant to show Hafiza’s antidepressant pills, but with persuasion, she flashed the bottle before locking it in a cupboard. Hafiza’s relatives are unaware of her illness—if they find out, her mother fears Hafiza won’t be able to make a suitable marriage. The patients in a long line at the Institute of Mental Health and Neuroscience also reflect the fear of stigma. They try not to look at each other’s faces, or they cover their faces with traditional clothing. “I suspect misplaced shame associated with mental illness worsens patients’ conditions,” professor Andrabi said. Women who overcome that stigma and seek treatment find a dearth of mental health facilities in the area. In 2015, two counseling centers opened in Srinagar, but their services are limited and can’t keep up with growing demand. Also, people from rural areas have to rely on infrequent government buses to reach the capital to access counseling and psychiatric services. The result is insufficient care for serious mental illnesses and disorders. 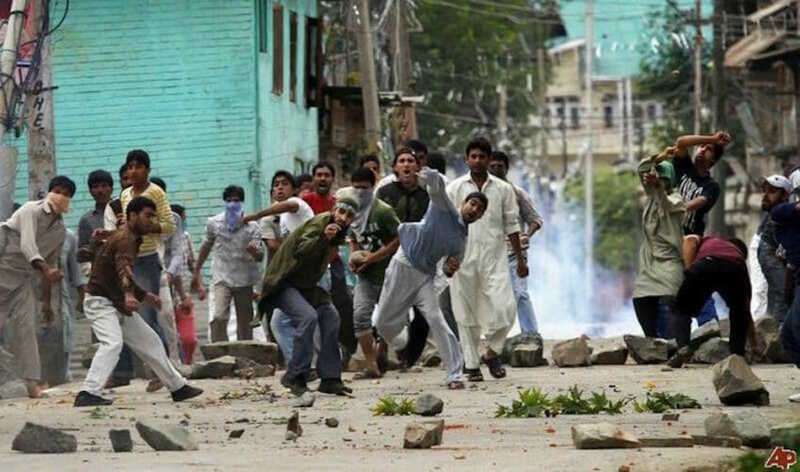 Violence affects the Kashmiri population in large numbers. In July 2016, clashes between the Indian army and civilians resulted in more than 100 deaths. Several hundred civilians were blinded that month after being hit by the army’s “nonlethal” metal pellets. As recently as August of this year, protests against Indian rule turned violent when a crowd threw stones at security forces, which responded with tear gas and gunshots. Kashmiri children not only bear the impact of these incidents, but they also suffer from the effect of past violence on their parents. 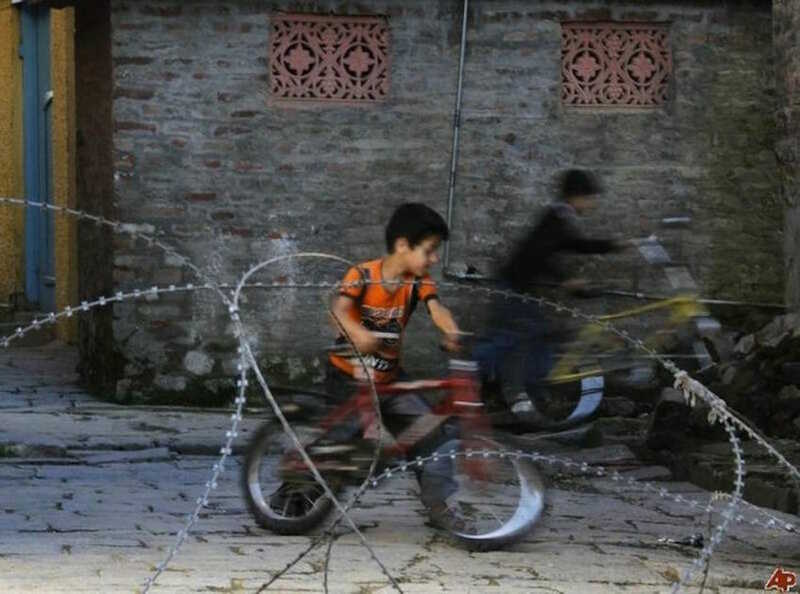 This generation of Kashmiris who have never known a normal childhood especially run the risk of absorbing the mental damage inflicted on their mothers. For instance, Farzana’s sons—aged 10 and 13—look on as their mother loses her temper more often and more virulently. She has long periods of silence that are broken by sudden bursts of verbal abuse. The boys also have had to come to terms with the fact they might never see their father again. Some names in this article were changed and some first names used to protect privacy. Reporting for the article was supported by the International Women’s Media Foundation’s Reporting Grants for Women’s Stories.